A valuable community resource has been given a new lease of life as part of a successful regeneration project led by Stafford and Rural Homes (SARH). Already home to a number of a community groups, the Round House Community Room in Sidney Avenue has undergone a complete refurbishment to create a bright and welcoming space for a wide range of events and activities. At a recent ‘drop-in’ launch event members of the local community were invited to take a look around the new-look building that’s available for neighbourhood activities and to hire for private functions, including business meetings, whilst also offering the ideal venue for children’s parties. Laura Turner, SARH Customer Engagement Advisor, explained: “Part of a former Independent Living Scheme, the Round House has become a hub for community activities in the Silkmore area, which has benefited from significant investment as part of the Total Place regeneration project. “It’s used regularly by a local local youth club, and for fitness classes for older people, whilst other community groups hold monthly meetings there. With its own kitchen, wi-fi and plenty of space to accommodate up to 30 people, SARH has already had plenty of interest from groups looking to book the venue. 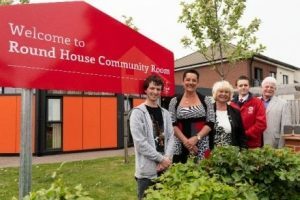 Caption: Pictured at the launch (left to right) are Aaron Hawkins, a Volunteer for WhyCH youth group; SARH Chief Executive Karen Armitage; Councillor Ann Edgeller; Andrew Edwards, Chair of Penkside Champions; and Councillor Ralph Cooke. 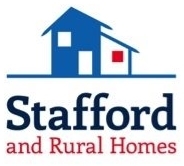 Stafford and Rural Homes (SARH) is the largest social landlord in Stafford with around 6,000 homes across Stafford, Stone and the rural villages across the Borough. Established in 2006 to own and manage the former Stafford Borough Council housing stock, SARH set up a trading subsidiary company Housing Worx, to deliver planned maintenance works to its properties and fulfil commercial contracts in 2012. SARH also offers 18 Independent Living schemes for people aged over 55 and an award winning Telecare home safety and personal security system for the elderly and vulnerable. SARH has invested more than £100 million on improvement and regeneration programmes and building over 500 high quality new homes for rent and shared ownership which have benefited SARH customers by improving neighbourhoods and creating job opportunities for local people. The housing association works in partnership with local authorities, health trusts, statutory bodies and a range of voluntary organisations to create safe, sustainable communities where residents can ‘Live, Work and Grow’.